In July we fired some effects in Christchurch’s Margaret Mahy Playground for Kidsfest 2017. This was a fairly small event, though it will be memorable for the crowd. 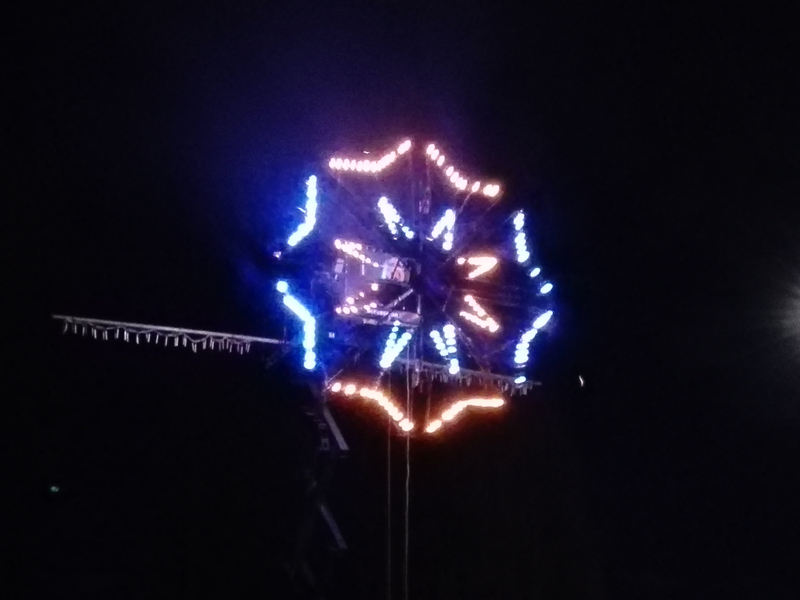 The effects included one of our rarely seen Maltese firework wheels. 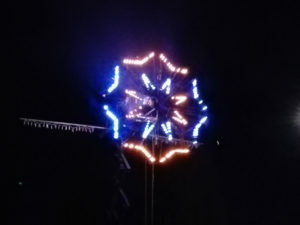 The same wheel was last used at a Cashel St mall display. An unusual contraption, it is loaded with colored firework lances and electrically powered for reliable and safe “rocket free” operation. This means it can be used in close proximity to audiences. This particular wheel has an unusual movement in that it does not rotate around the center. Instead it twists through itself, expanding and contracting as it goes. 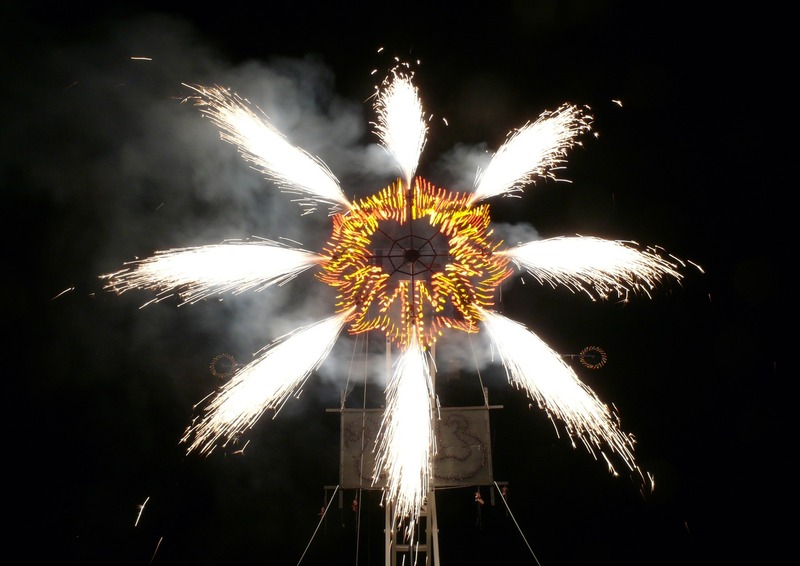 Given it’s safe proximate nature, it really complements our stage and stadium firework effects in confined sites where traditional fireworks are not an option for legal and safety reasons. Contact us today if you have an event that you would like to see come to life with one of our Maltese wheels.